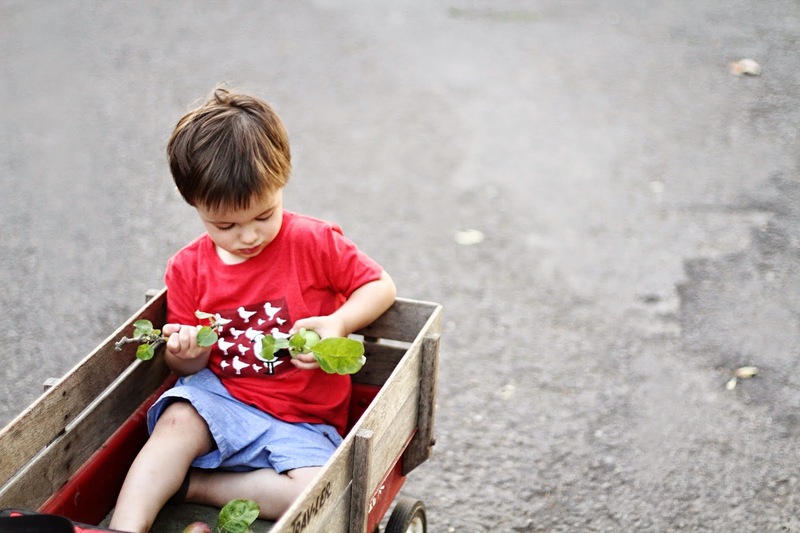 Matteo: Long evening walks in a little red wagon, with the light stretching on well past your bed time. "Want one! Want one ap-ple!" you shout, each time we pass a bushy tree, heavy with fruit. You hold your little green treasures lovingly for a few minutes before throwing them wildly from the wagon, quite satisfied with the action. By the time you get in the bath, you are covered in a thin layer of dirt and scratches from the day's adventures. 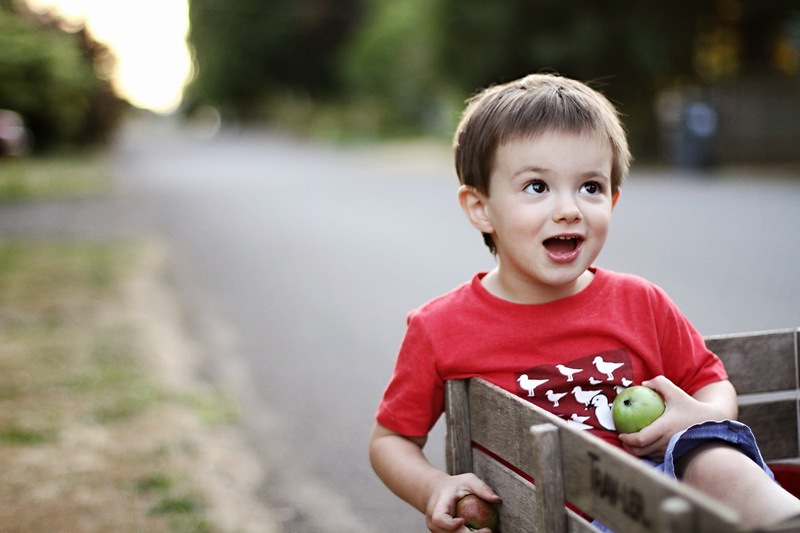 Summers are the best time of year for little boys, wild-at-heart, like you.